"Clinking glasses." And that delightfully intriguing introduction, dear friends, becomes now the flimsy pretext for winging our way into a pure trivia post, one for the hypergeeks. Hey, it's summertime, and the living is easy. We can't float around in the ozone all the time, indulging in grandiose theorizing. 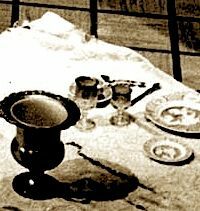 Besides, one man's trash is another man's treasure, as the saying goes, and if you happen to be a serious porcelain or glassware buff as well as a Mansionhead, this may jolly well be your lucky day. Right, so let's do the dishes. 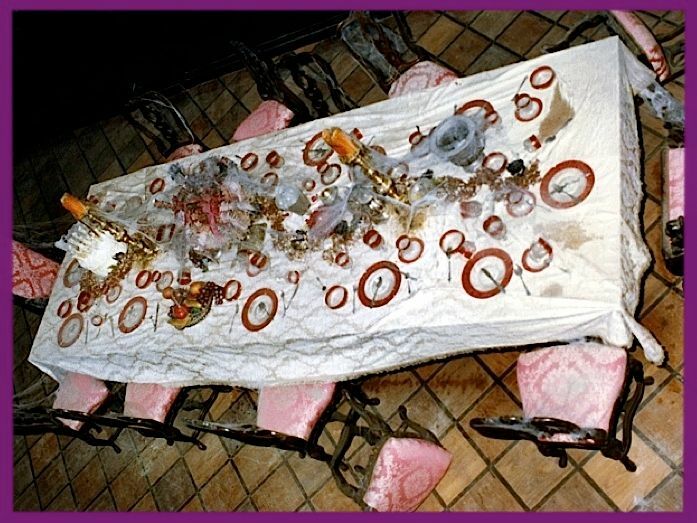 tablecloth, but at least their china is in good shape. Fit for a king it is—nay, fit for a Caesar. Some of you readers who really know your porcelain may be able to identify the style. I haven't been able to. That china is also seen in the pre-opening, WED ride-thru film that we have spoken of before. 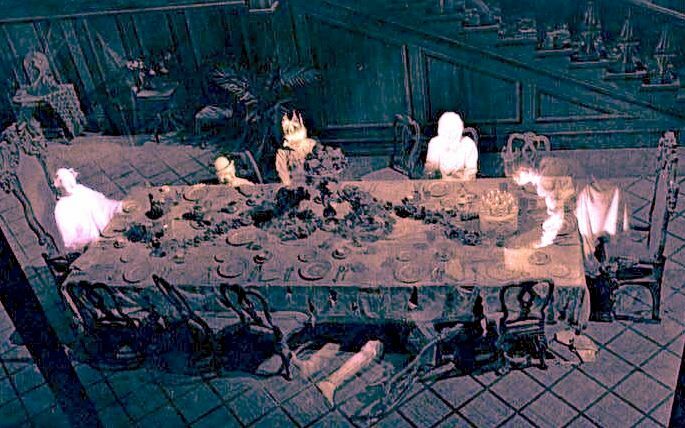 That's the weary stock film that they continue to recycle whenever they need interior footage of the Haunted Mansion. 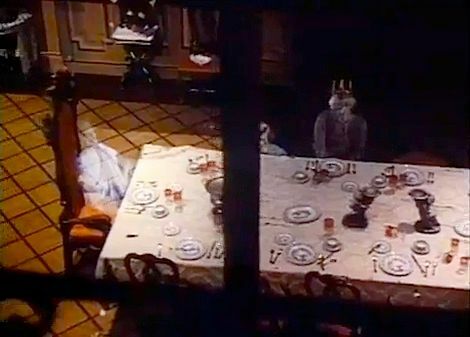 By the way, in the two shots (above and below), notice how bare the table is compared to what is there now. That original china is seen in other photography too, the commercial photos intended for souvenir guides, slides, postcards, View-Master reels, etc. 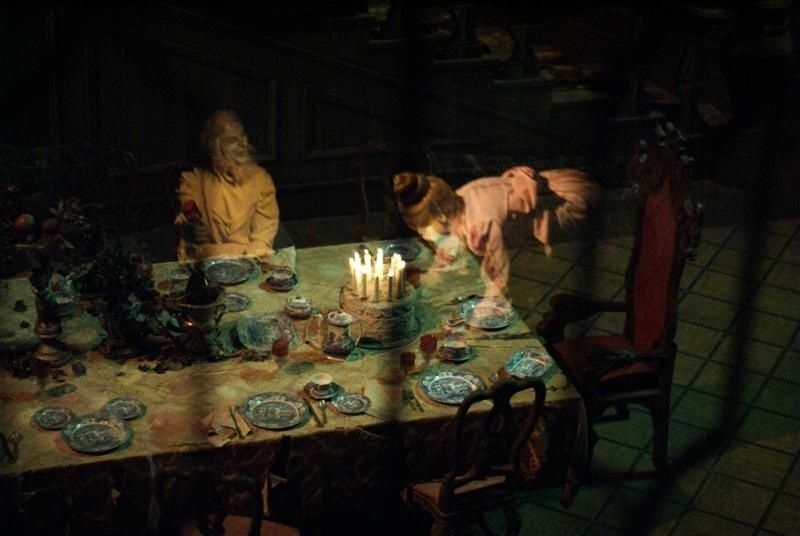 These were also taken before the Mansion opened, in order that they might be ready to sell by the time the ride debuted. 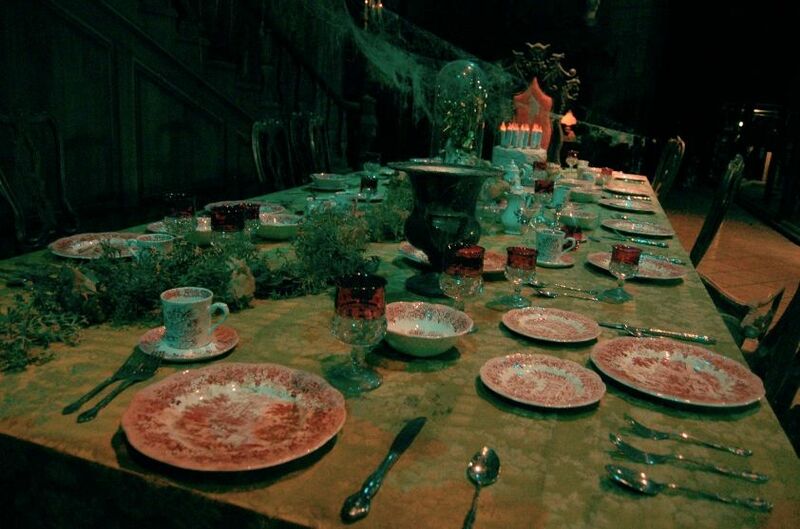 Those pictures were taken a bit later, however, since the table has now been fully decorated. 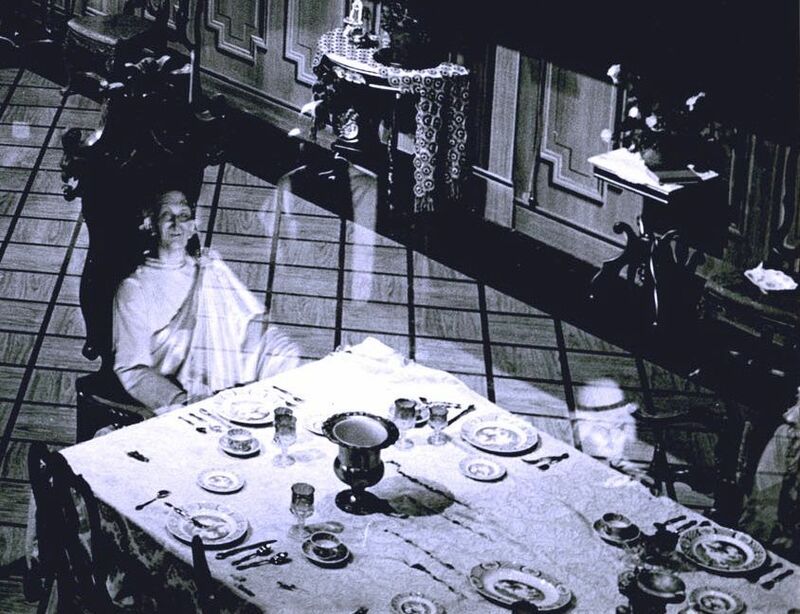 I don't know when they replaced this tableware with the blue dishes. 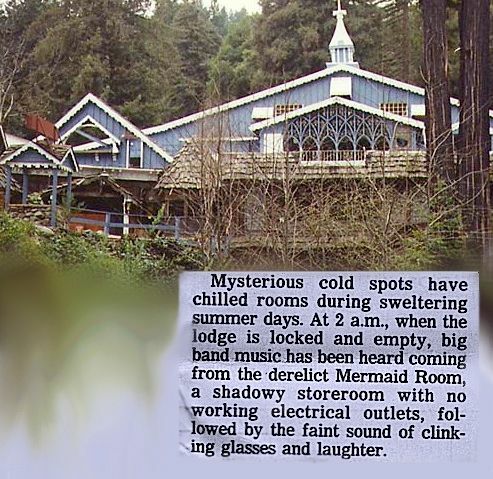 I have one snapshot, labeled "early 70's,"
The blue dishes are Spode Blue Italian. 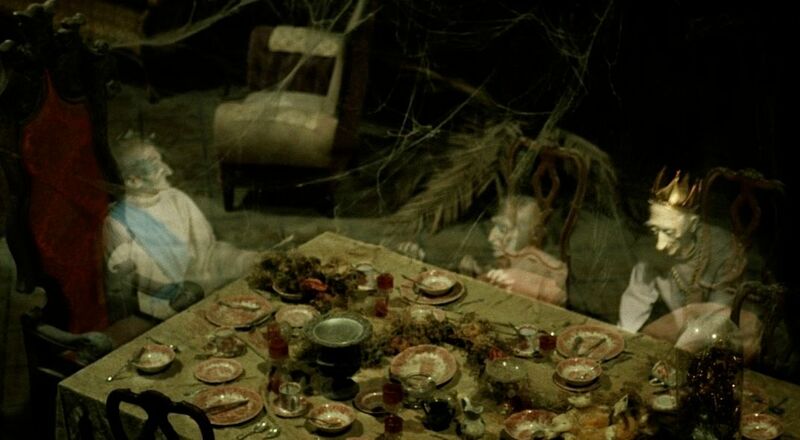 "Spode" is a name spoken in hushed and reverent tones by connoisseurs of fine china. It's a very old English producer of fine earthenware. 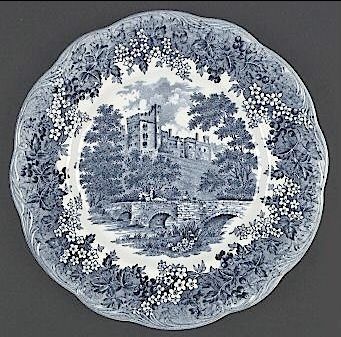 Blue Italian was launched in 1816 and is still in production today, one of Spode's most popular styles. normal distance, there's something immensely satisfying about the total design. Are they antiques? 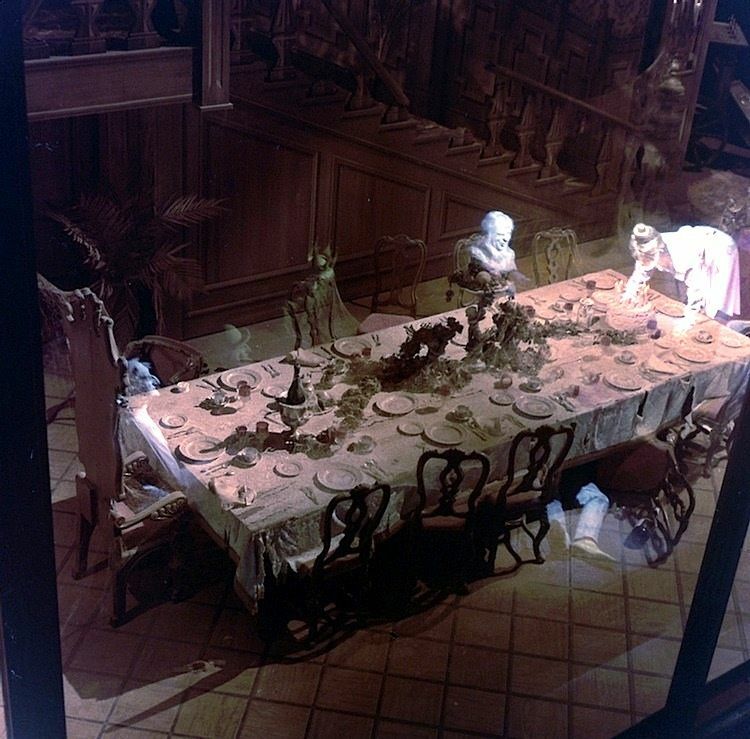 The Imagineers did use genuine antiques in the original attic, although they replaced most of them with less-valuable junk later. 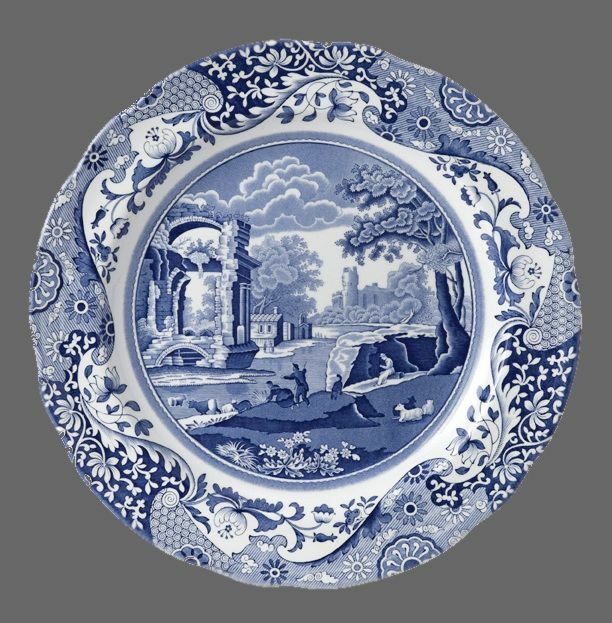 Spode allows their artisans some leeway, so there are idiosyncratic differences in the various batches of Blue Italian produced over the years, like the number of sheep pictured, or slight differences in the shades of blue, all of which makes it possible to date a plate with some degree of confidence, even from a photograph. 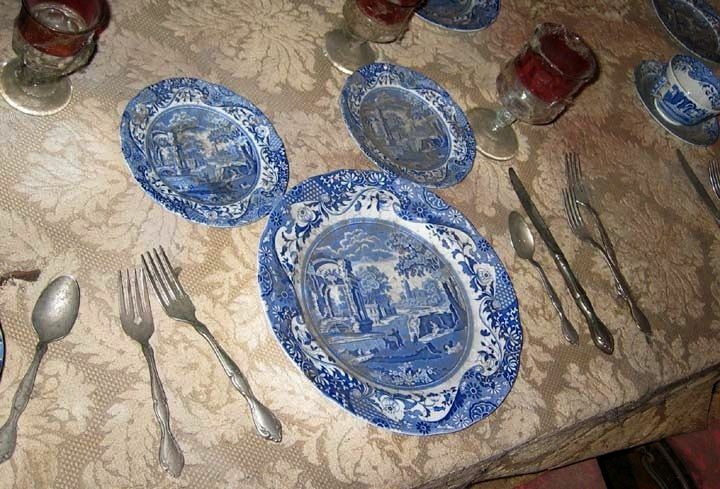 I asked Andrew Pye at the website Lovers of Blue and White if he could date the Mansion plates from some pix I sent him, and he opined that they were from the 1960s or 70s. In other words, they weren't antiques but were bought new. Yes, that's a "hidden Mickey." I mean, duh. I'm not into those, but there it is. 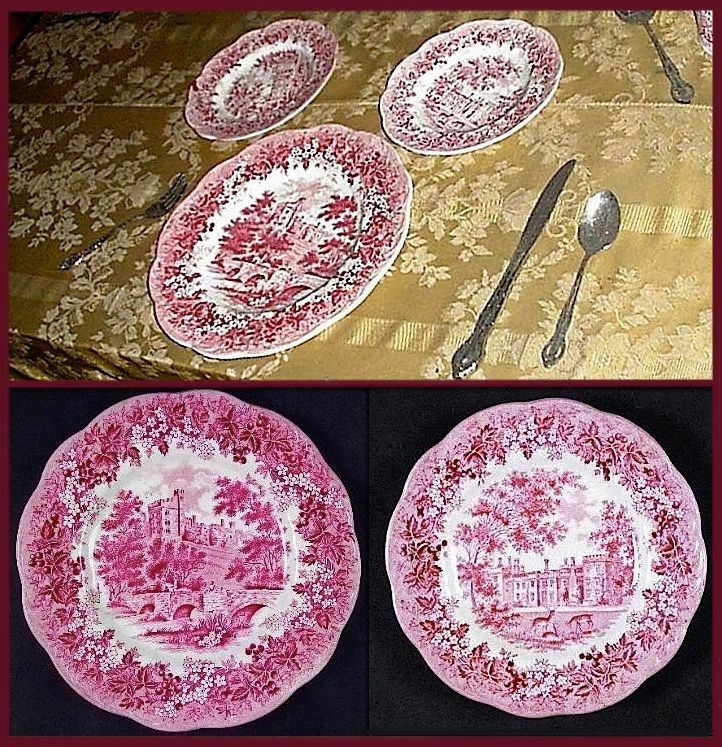 The plate on the right is from a batch picturing one fewer sheep than the others. 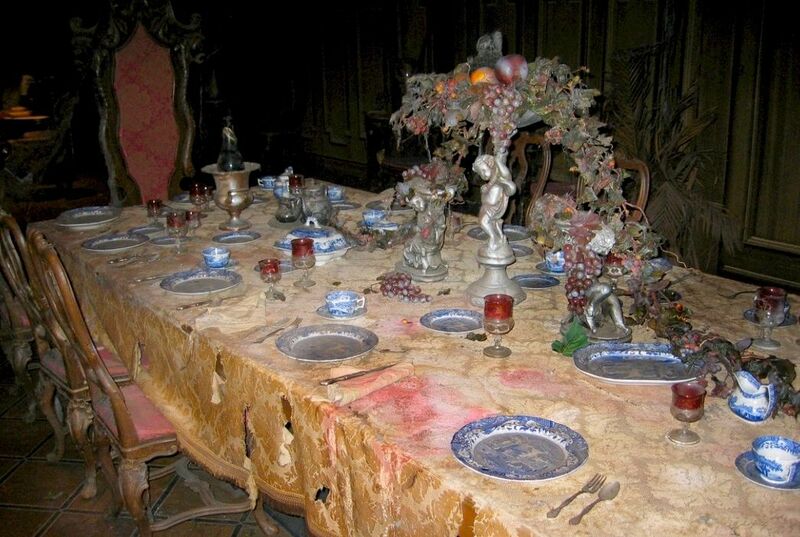 Unlike Disneyland, Walt Disney World has had the same china on its ballroom table from the beginning. was produced "primarily for the North American Market". It comes in several different colors, and there are 35 different scenes pictured. dang, I must say those aren't bad looking chunks of glass. 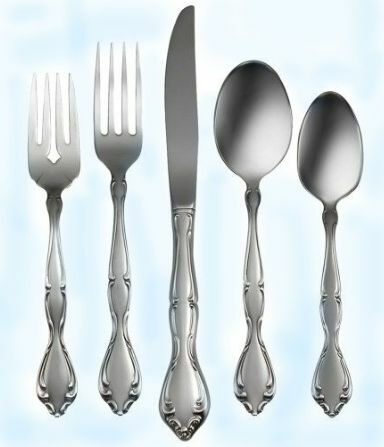 Getting back to things I actually do know, the flatware in Disneyland and Walt Disney World is Oneida Cantata. I think it's Satin Cantata in Anaheim, but it may look that way just because it's dusty! There remains only those striking red goblets to identify. These have been on the DL ballroom table unchanged since before opening day. Both WDW and Tokyo use them as well, so they're everywhere but Phantom Manor and always have been. They're plainly visible in that pre-opening publicity shot we were looking at earlier. Imagine that. At last we have come to the imaginary source of our imaginary clinking. 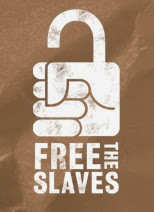 Once again we have to do with a very popular brand born in the 1800s. 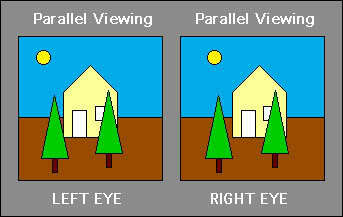 This one is a little complicated. 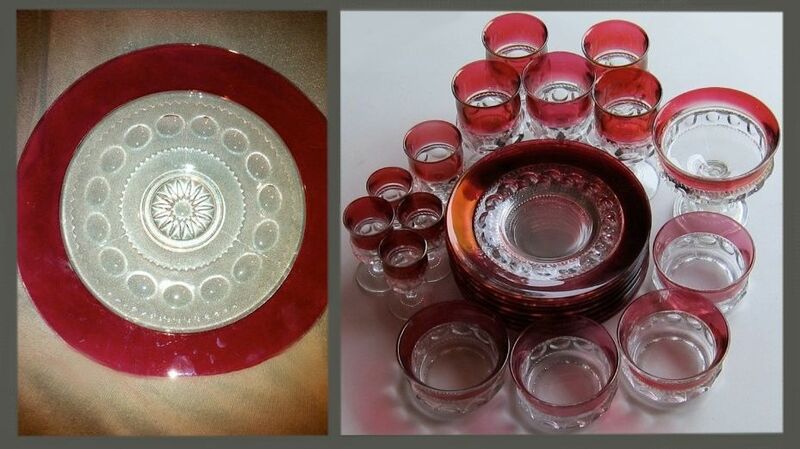 The style was originally created in the late 19th century by Adams Glass and called "Excelsior." And Gloria, in Excelsior's day, oh! 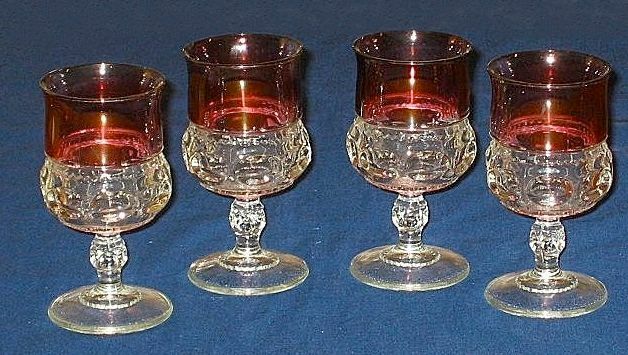 these must have been popular, because after Adams went out of business, Tiffin Glass apparently got the molds and continued production, calling it King's Crown. That's the name that really stuck, but it's also called "Thumbprint," and later, when different colors were introduced, you had to specify "cranberry." Another glassmaker, Indiana Glass, was producing a very similar line at the same time Tiffin was, and when Tiffin called it quits Indiana was the only game in town, producing their version of King's Crown into the 1990's. A few knock-offs are still being made, servicing the replacement market I suppose. Authentic KC seems to have an enthusiastic following among collectors. 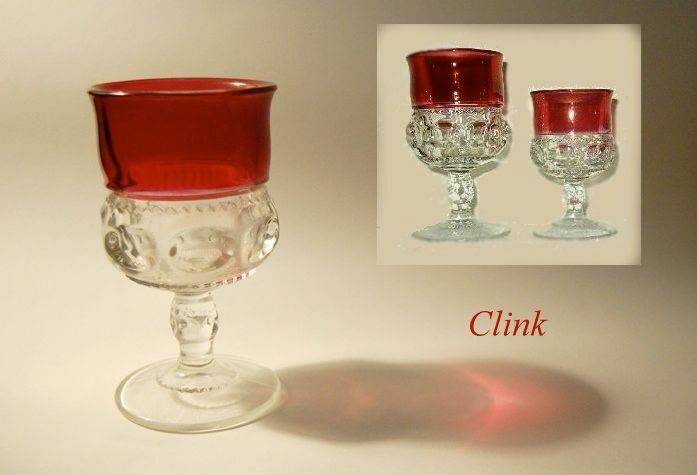 Crown cranberry wine glasses (small) and King's Crown cranberry claret wine glasses (large). One thing I can tell you that may be of interest is that the china is not particularly expensive or hard to find. If Mansionology is for you a guilty pleasure, and your Long-Forgotten habit is something you must keep carefully shielded from public view (it's okay, I understand; the world isn't ready for us), one way you can discreetly display your secret vice is by getting one of these plates and a wall hanger. To others it's just a nice plaque, but you know what it really is, and it'll set you back maybe 20 or 30 bucks, a lot cheaper and (if you ask me) a lot more beautiful than most of the crappy merchandise and "collectibles" Disney serves up for Mansion fans.